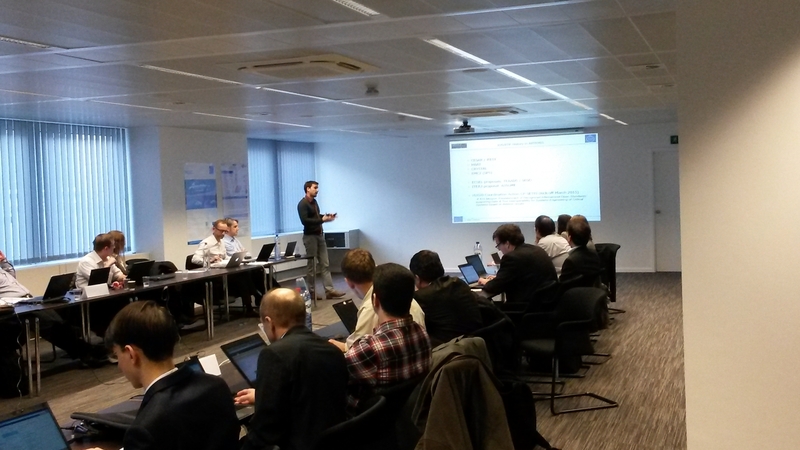 MBAT final review was held in Brussels on December 10th. 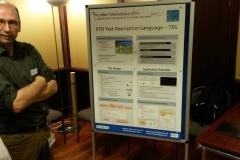 “The MBAT project has definitively added a lot of value to model based testing and analysis, both in terms of methodology integration, methodology innovation but also in tool interoperability.” – was general comment of reviewers MBAT RTP (reference technology platform) concepts and demonstrators were presented during review meeting. Elvior was involved in development of 2 MBAT RTP instances: with Enovia from Dassault Systèmes and integration with IBM DOORS. FI STAR plenary meeting took place in Rome, Italy 5-7.Nov. Current project status has been presented and discussed among more than 70 delegates. Madis Taimre from Elvior presented TTCN-3 based black box testing environment of Generic Enablers (GE) and Specific enablers (SE). Further test development activities and plans were discussed with partners involved in SE and GE development. The 6th and final plenary meeting of the MBAT project was held September 22-24th in Torino, Italy, hosted by AMET. The main target for this plenary was evaluation of the project results achieved so far and for preparation of the final review meeting in Brussels on December 9-10th. Elvior is participating actively in development of the MBAT RTP (reference technology platform) instances; especially in implementing OSLC based adaptors to make integration between various tools smooth, easy and open. Second User Conference on Advanced Automated Testing was held in Siemens Conference Centre in Munich, 16-18-September 2014. The conference program included interesting topics from different test automation fields. 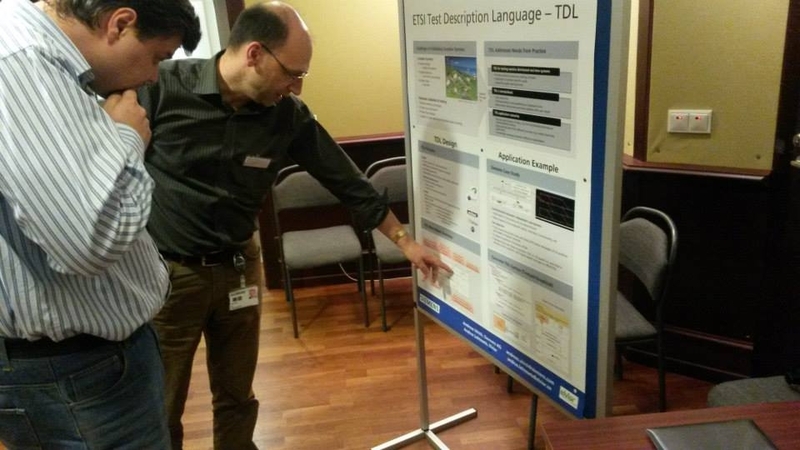 Martti Käärik from Elvior co-authored: Bringing TDL to Users: A Hands-on Tutorial. 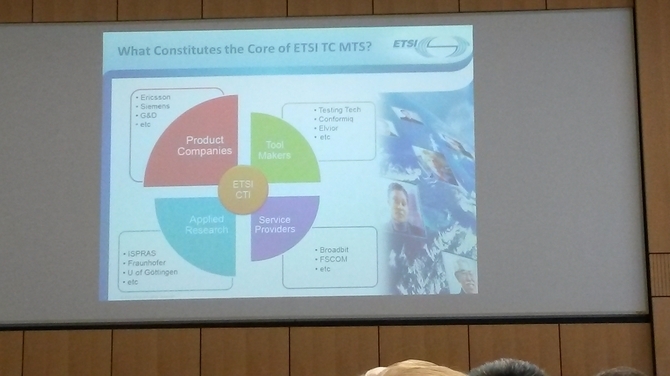 This tutorial introduced work done in standardization of the TDL and achievements of ETSI STF 476. For more information please visit UCAAT web page. Elvior has released TTCN-3 test suite for testing implementations using FI-WARE OMA NGSI-9 and 10 interfaces. The FI-WARE version of the OMA NGSI-9 interface is a RESTful API via HTTP. Its purpose is to exchange information about the availability of context information. Elvior has developed a complete test environment including adapters (http adapter supporting authorization) and codecs (XML and JSON) for end-to-end testing of systems implementing NGSI-9 and 10 interfaces. Download slide set from here. 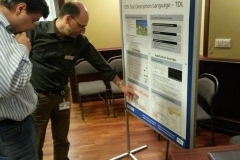 Second MBAT marketplace took place in Gothenburg last week where Andreas Ulrich from Siemens and Andrus Lehtmets from Elvior introduced ETSI Test Description Language. 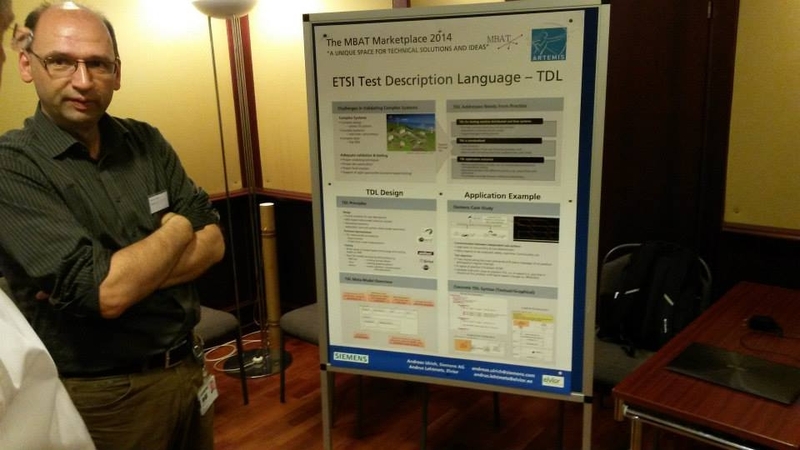 TDL supports the design of black-box tests for distributed, concurrent real-time systems. It is applicable to a wide range of tests including conformance tests, interoperability tests, tests of real-time properties, and security tests based on attack traces. 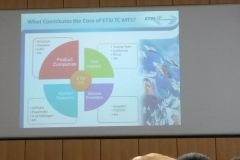 ETSI TDL standard can be downloaded from www.etsi.org. MBAT marketplace poster is available here. Elvior has released TestCast T3 version 6.8.0. Version 6.8.0 includes full support for TTCN-3:2014. This includes support for lazy and fuzzy variables and templates as well as all the other useful and convenient features of this new TTCN-3 standard. This release also includes bug fixes and improvements for XSD encoding and decoding; for details see release notes. Customers can download this new version of TestCast T3 from Elvior online support. Versions for Windows and Linux are available. Elvior released TestCast T3 version 6.7.4. This major release includes support for TTCN-3 extension package: Support of interfaces with continuous signals and modifications for Extended TRI support. Users can gain also of extended command line support to control TestCast features from command line. Release is available for Windows and Linux platforms and customers can download it from Elvior online support.